Tomorrow is New Year's Eve, the most glamorous holiday of all! As a vintage lover in a modern world, I just love that the tradition of celebration with bubbles somehow lives on... and so today we're toasting our coupes with a shimmery champagne dress by one of my favorite vintage reproduction brands, Stop Staring. The Alexis Metallic Pencil shimmers in the most beautiful silver/gold mixture, and has a classic sweetheart neckline with a sultry side strap. Stop Staring not only carries stunning special occasion dresses like today's, but they have so many versatile pieces that I find myself wearing endlessly, year-round. Their aesthetic is feminine, classic, and always accentuating the female form in the most flattering way. Some of my other favorites are the 30's Bombshell in military green, Billion Dollar Baby in red, and Raileen in navy. "Chicago bested New York City; Washington, D.C.; and St. Louis for the honor of hosting the fair. The Exposition was an influential social and cultural event and had a profound effect on architecture, sanitation, the arts, Chicago's self-image, and American industrial optimism. 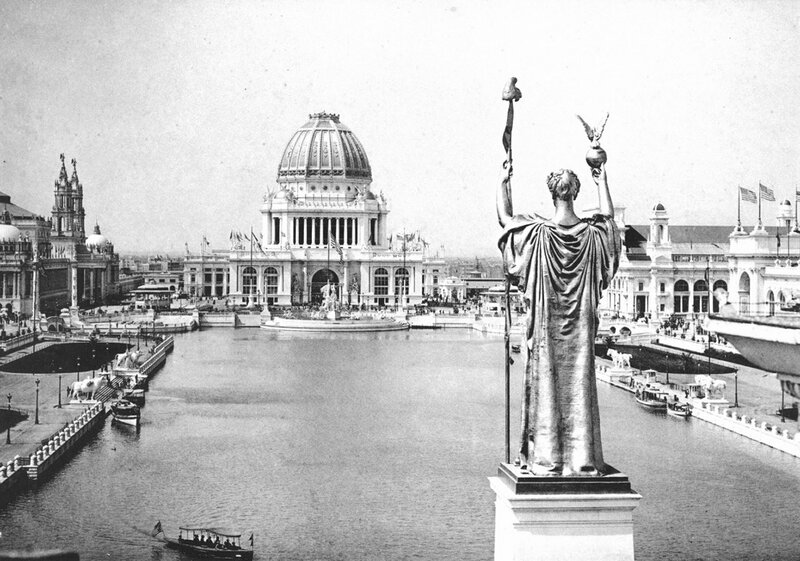 The layout of the Chicago Columbian Exposition was, in large part, designed by Daniel Burnham and Frederick Law Olmsted. 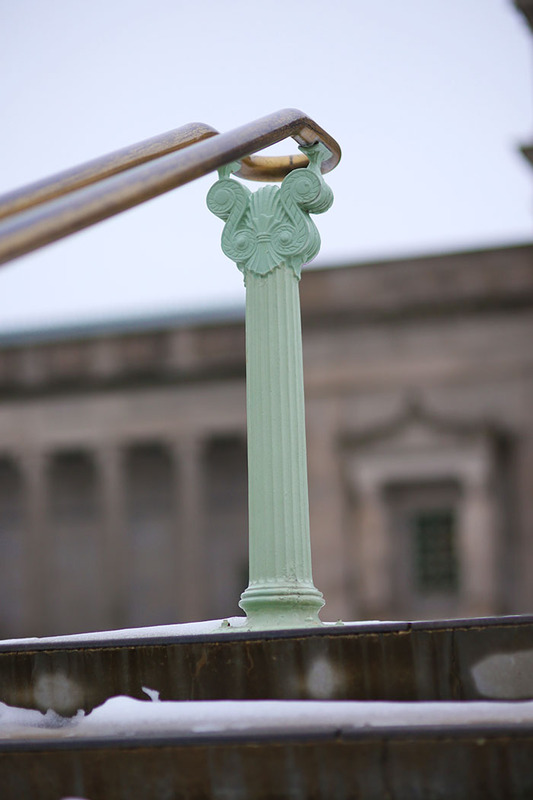 It was the prototype of what Burnham and his colleagues thought a city should be. 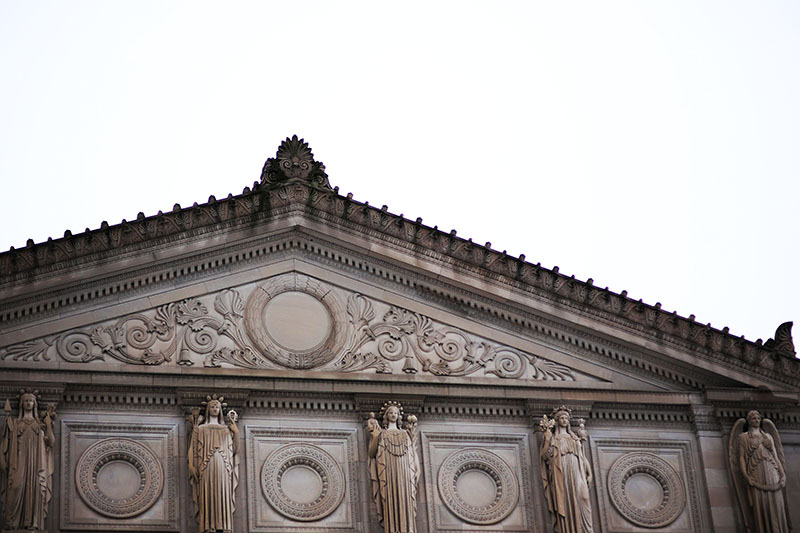 It was designed to follow Beaux Arts principles of design, namely French neoclassical architecture principles based on symmetry, balance, and splendor. Many prominent architects designed its 14 "great buildings". Artists and musicians were featured in exhibits and many also made depictions and works of art inspired of the exposition. 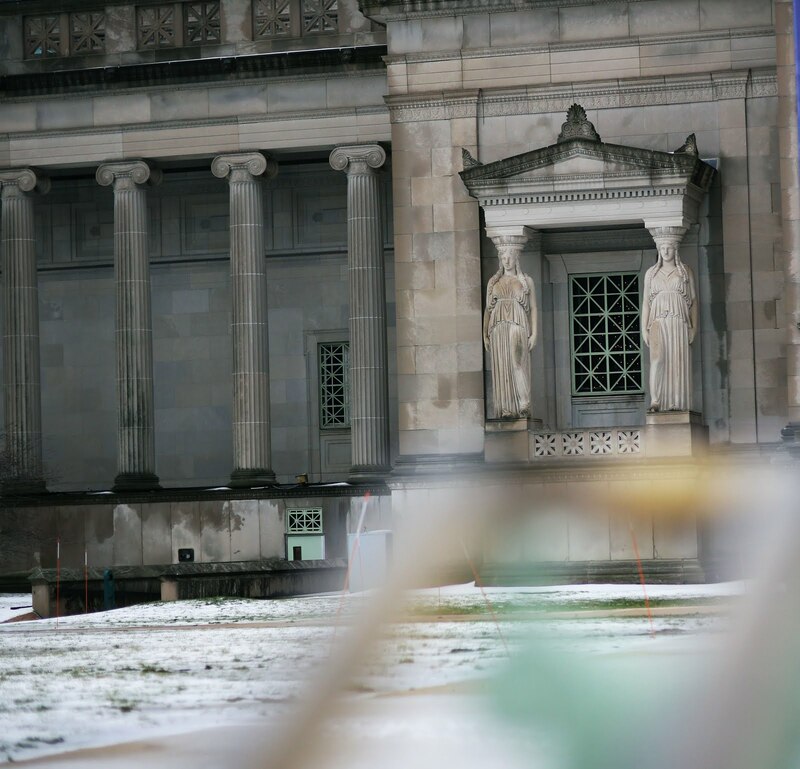 The exposition covered more than 600 acres (2.4 km2), featuring nearly 200 new (but purposely temporary) buildings of predominantly neoclassical architecture, canals and lagoons, and people and cultures from 46 countries. More than 27 million people attended the exposition during its six-month run. 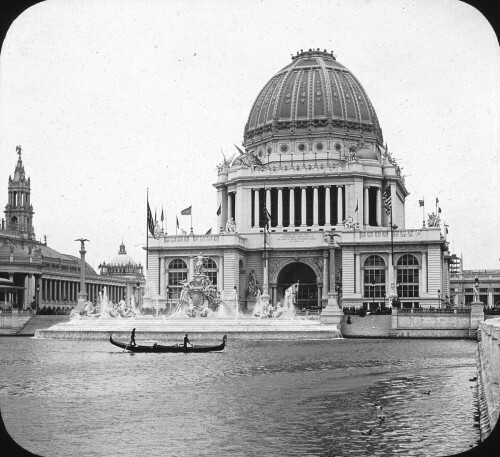 Its scale and grandeur far exceeded the other world's fairs, and it became a symbol of the emerging American Exceptionalism, much in the same way that the Great Exhibition became a symbol of the Victorian era United Kingdom." Happy New Year from the White City!